Today our Birdorable Bonanza: 2015 Advent Edition continues with the smallest species of bird in the world: the Bee Hummingbird! An adult Bee Hummingbird weighs in at 2 grams or less, which is lighter than an American penny coin. In fact, a nickname for this tiny 2-inch long bird is the "Penny Hummingbird". It is both the smallest and the lightest species of bird in the world. 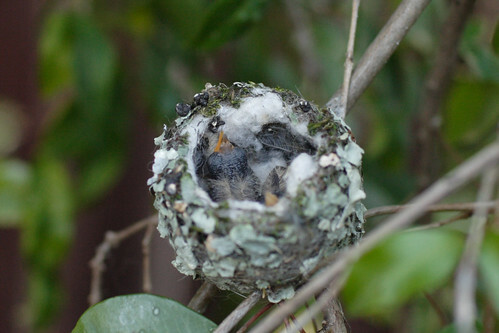 The second-smallest living species of bird in the world is the Bumblebee Hummingbird. 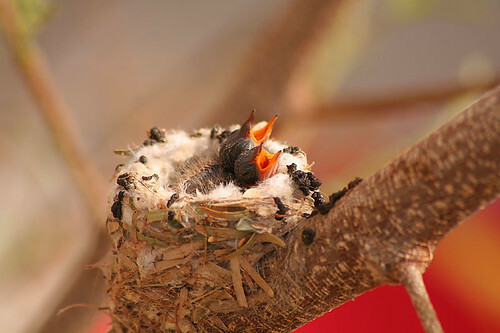 The tiny size of the Bee Hummingbird may be attributed to competition with other hummingbirds in its habitat. 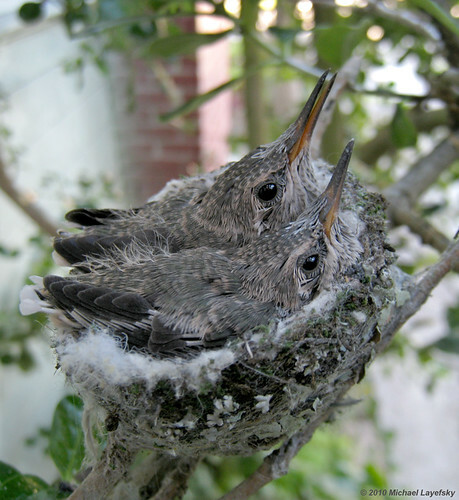 Over time the species evolved to feed on smaller flowers than other hummingbird species that shared its habitat. 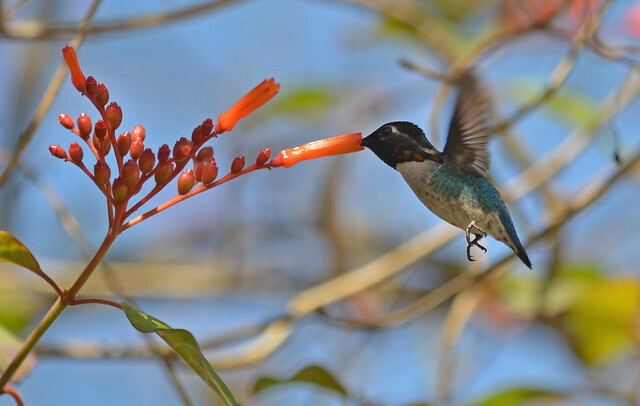 Bee Hummingbirds are endemic to Cuba, meaning they are found only on the islands of that country and no where else on earth. They are non-migratory but may disperse during the year depending on availability of nectar-producing flowers. 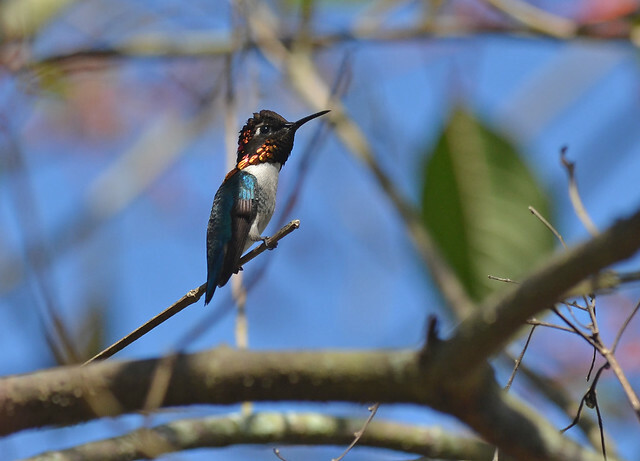 The Bee Hummingbird is our 624th Birdorable bird and our 7th species of hummingbird. Be sure to check out our collection of apparel and gifts featuring the Birdorable Bee Hummingbird! Our Bonanza continues tomorrow with a common North American flycatcher that sings its name. Can you guess tomorrow's species? A little jewel joins Birdorable today! 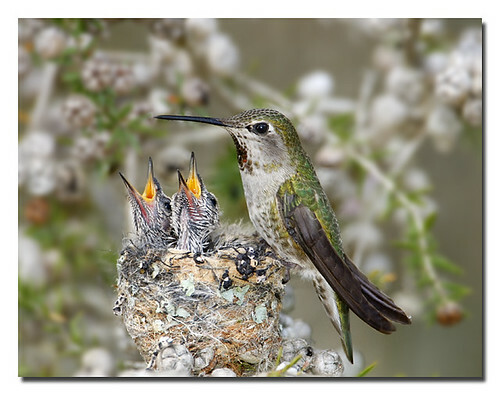 Today's Bonanza bird is the Buff-bellied Hummingbird, bringing our total number of hummers to five. 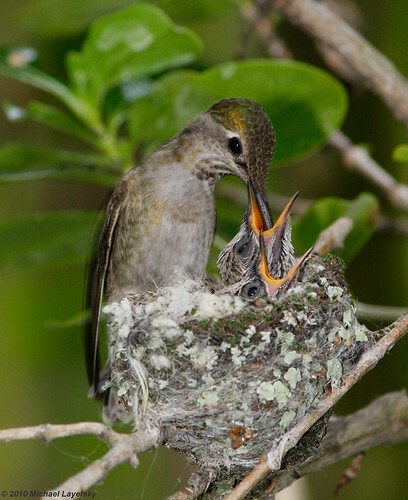 Buff-bellied Hummingbirds breed in eastern parts of Central America and the Yucatan Peninsula. Their northernmost breeding range extends into the Rio Grande Valley in Texas. 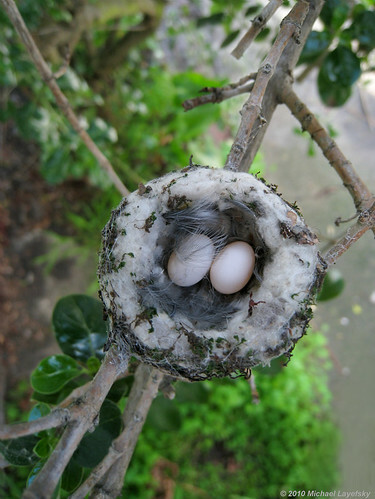 While some birds are resident, there are also seasonal movements (dispersal) in parts of the population. Some birds fly NORTH for the winter! Their wintering range includes much of the Gulf Coast of the United States. 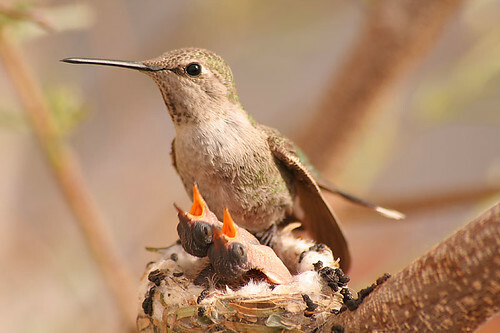 Like other hummingbirds, Buff-bellied Hummers feed on flower nectar. 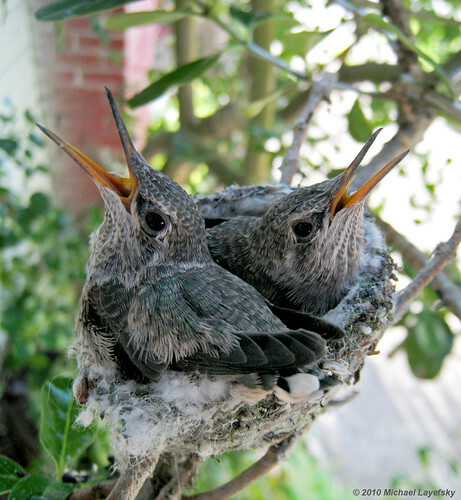 They will readily feed from hummingbird feeders filled with sugar water. Buff-bellieds also feed on very small insects caught on the wing. Tomorrow's new bird has the longest wingspan of any living species! This week's highlighted t-shirt design features a trio of Birdorable Ruby-throats in flight - and all are wearing Santa Claus hats! The hummingbirds may be south for the winter, but they are still in our hearts and minds. Get ready for the holidays with these little jewels in festive Christmas style. Shown here on a kids organic t-shirt made in the USA by American Apparel. Also available on other customizable gifts. Rufous Hummingbirds live in the western half of North America. They are long-distance migrants, with some individuals breeding in Alaska and spending the winter down in Mexico. Considering the small size of these birds, this is one of the longest migratory journeys of any bird in the world. Rufous Hummingbirds are known to have excellent memories, especially for location. 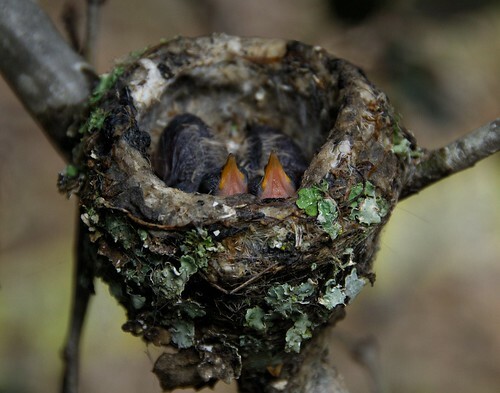 Birds may return to the same backyard year after year, pinpointing the exact location of a previously known nectar feeder. 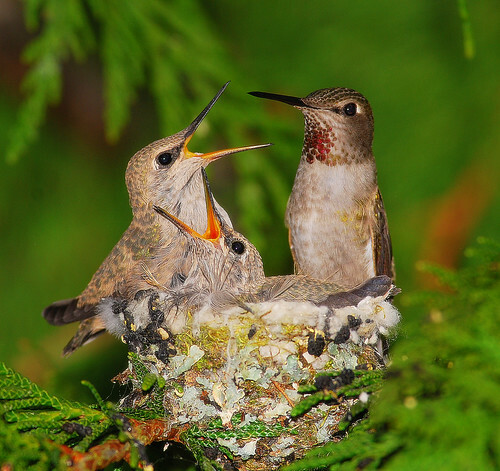 If you want to learn more about Rufous Hummingbirds, check out Cornell's All About Birds.